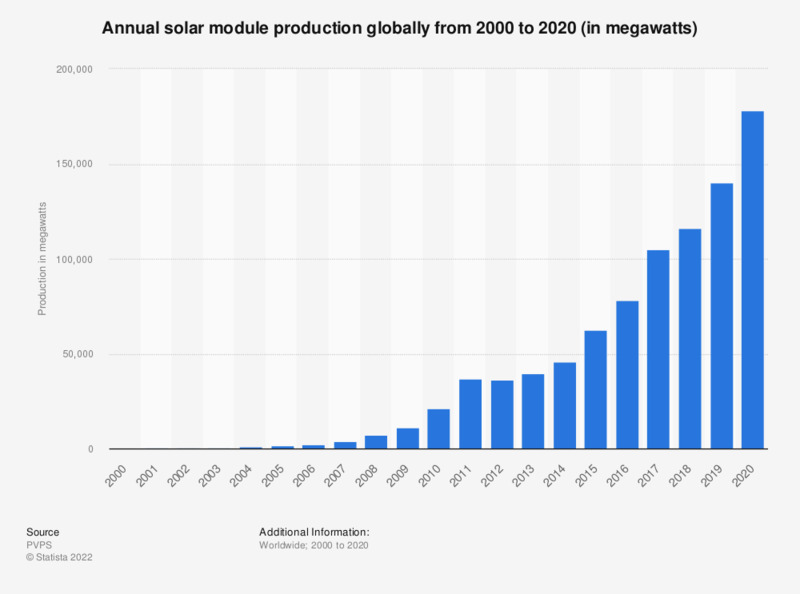 This statistic represents the global solar module production from 2000 to 2017. The production of solar modules worldwide reached approximately 105 gigawatts in 2017, a significant increase from 238 megawatts in 2000. Everything On "JinkoSolar" in One Document: Edited and Divided into Handy Chapters. Including Detailed References.